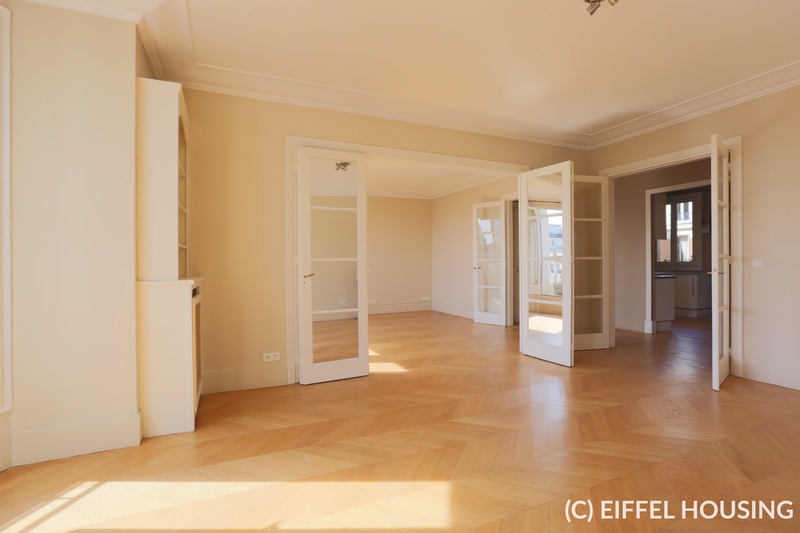 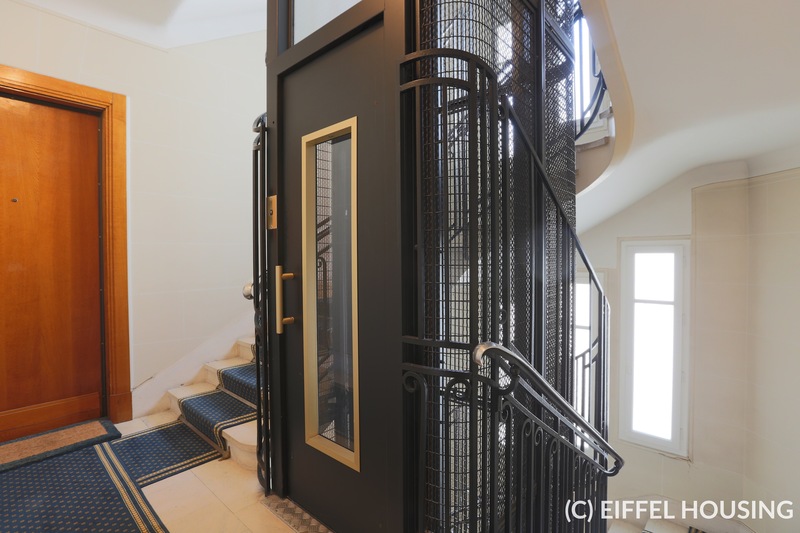 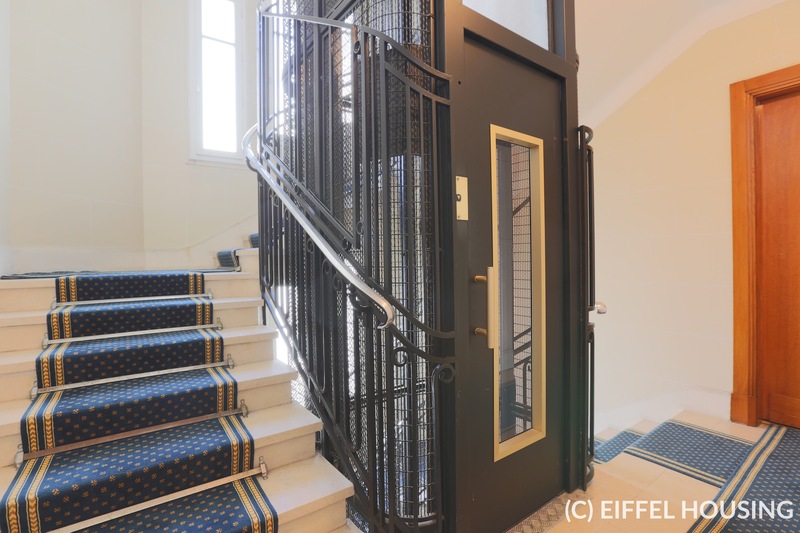 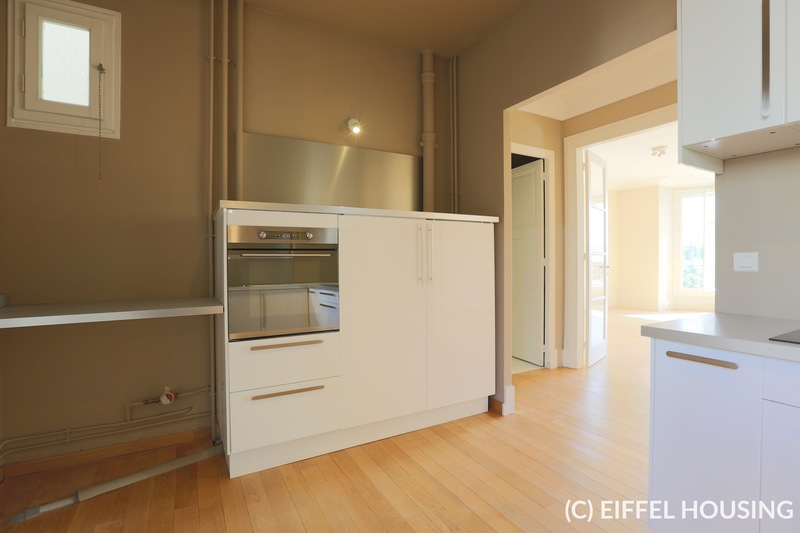 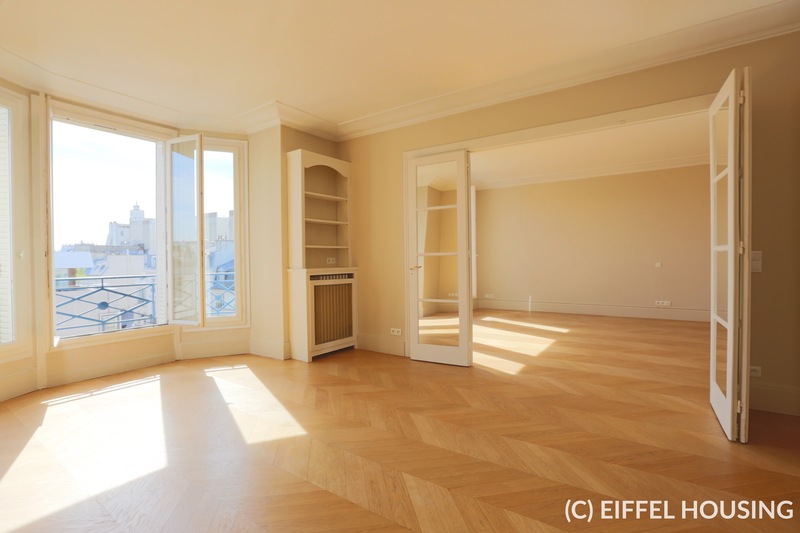 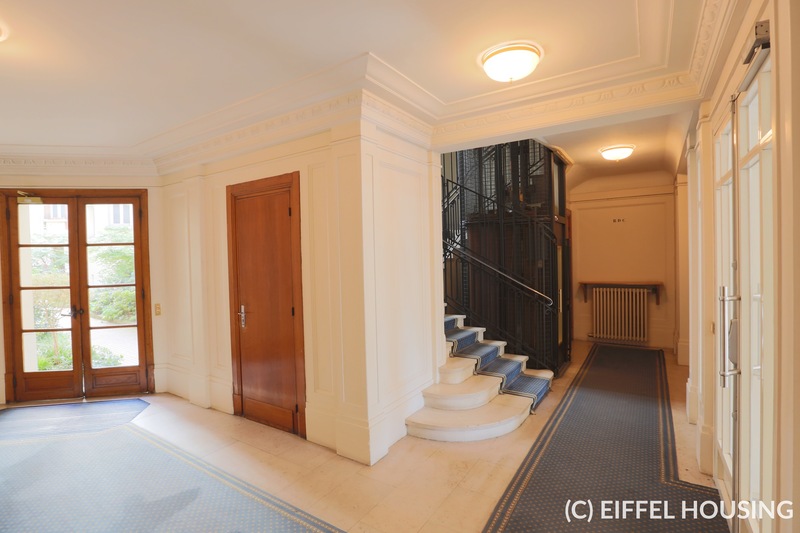 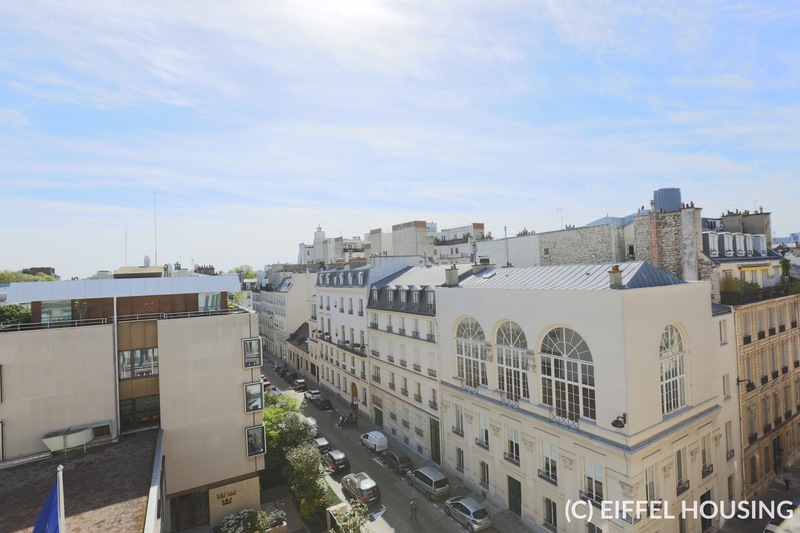 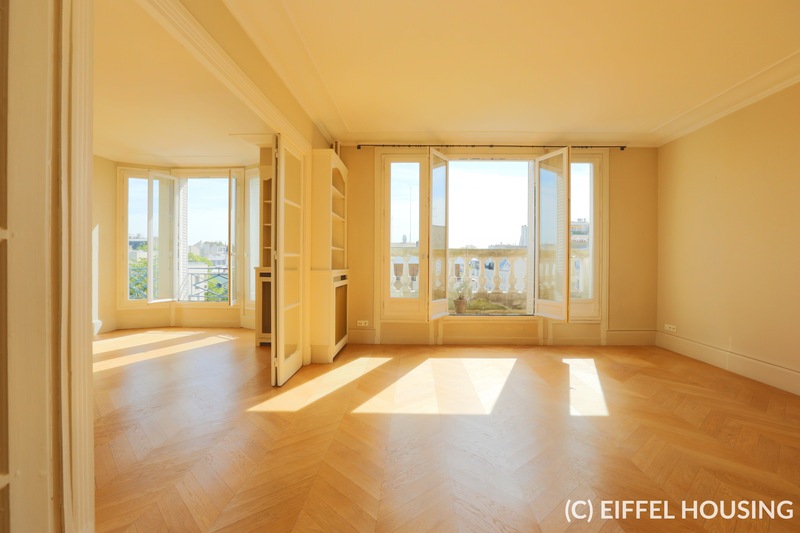 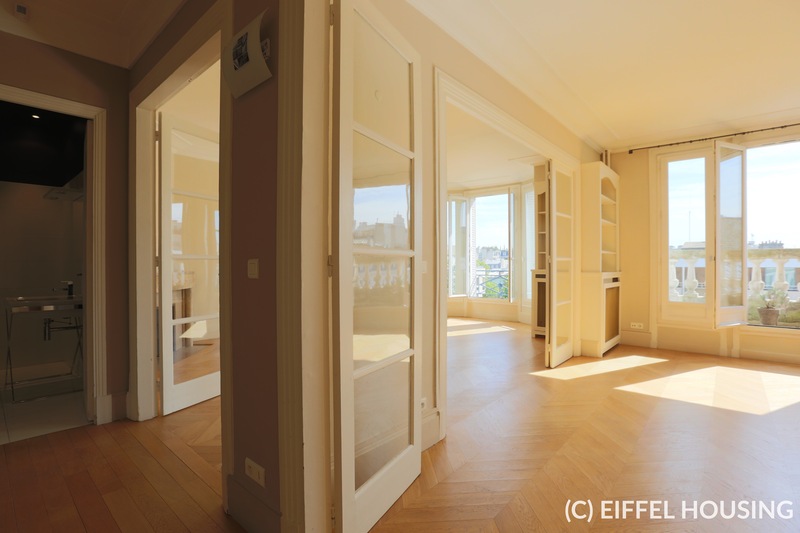 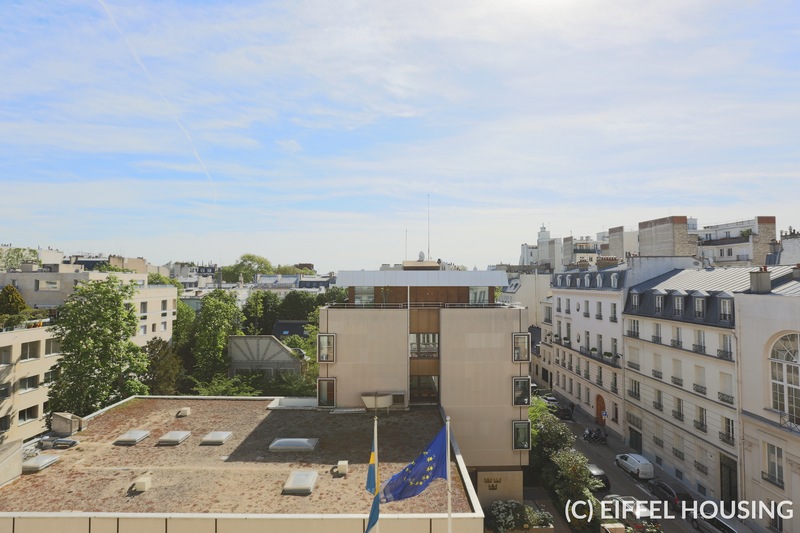 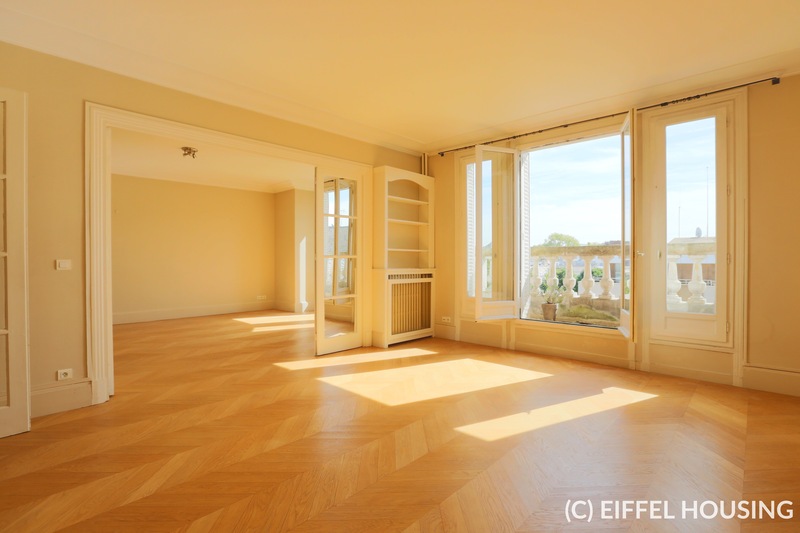 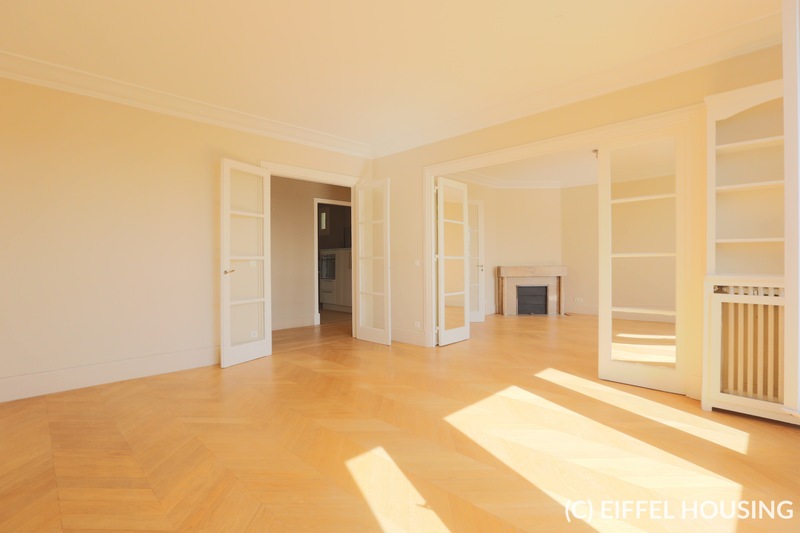 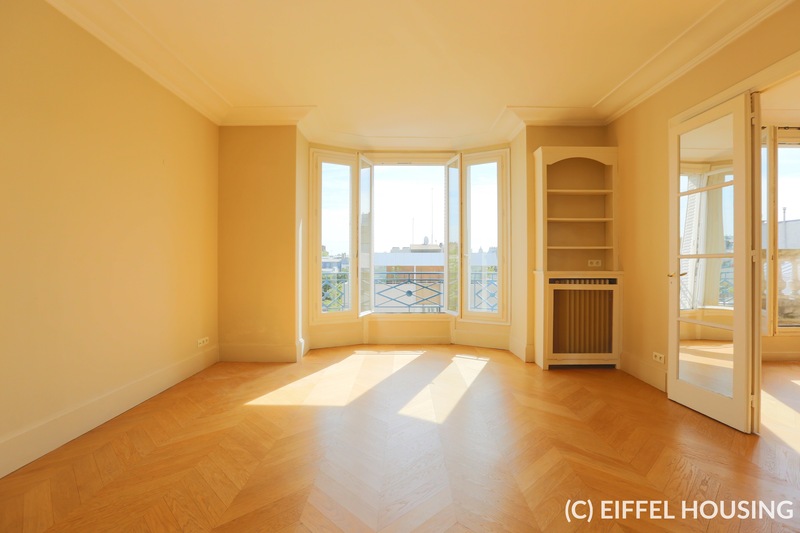 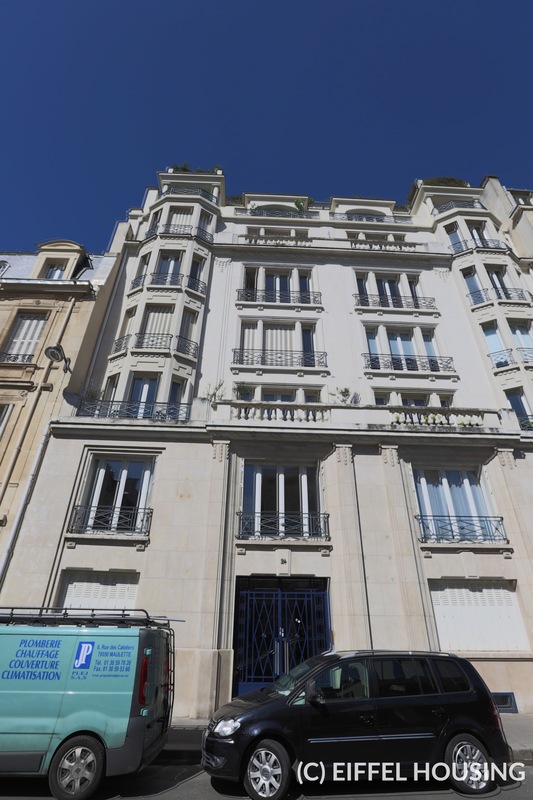 Outstanding and unobstructed view for this 75-sqm unfurnished apartment located on the 5th floor (with elevator) in a stately freestone building in rue Barbet de Jouy. 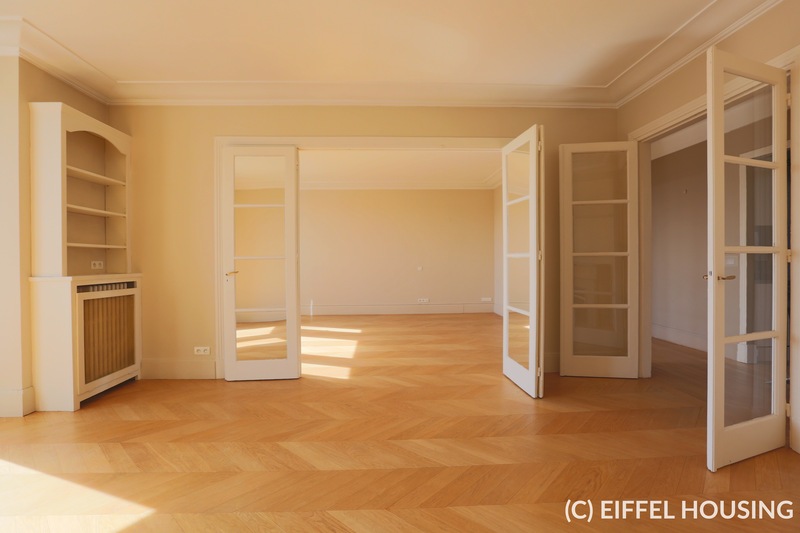 Common spaces in perfect conditions. 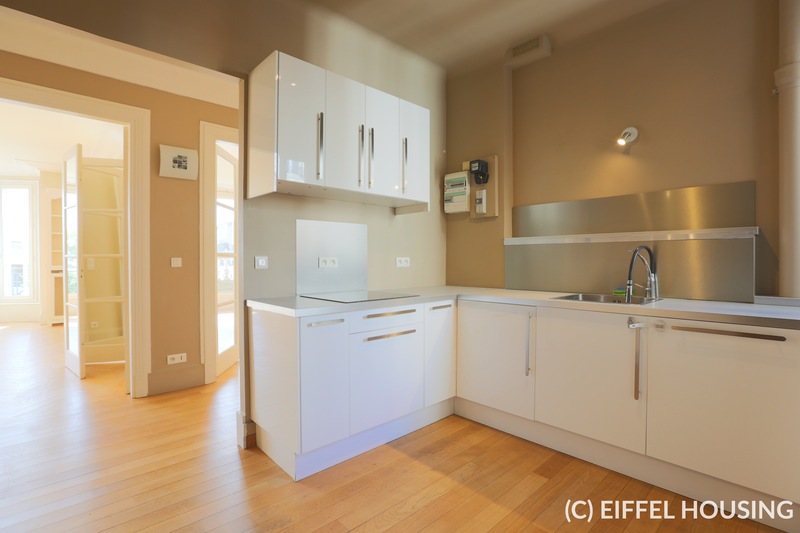 This apartment includes : 1 living room (facing east, full of light) with a small balcony, 1 bedroom, 1 large kitchen partially equipped (cupboards, oven, stove-top, dishwasher, fridge), 1 large bathroom (with shower and toilets) and 1 laundry room. 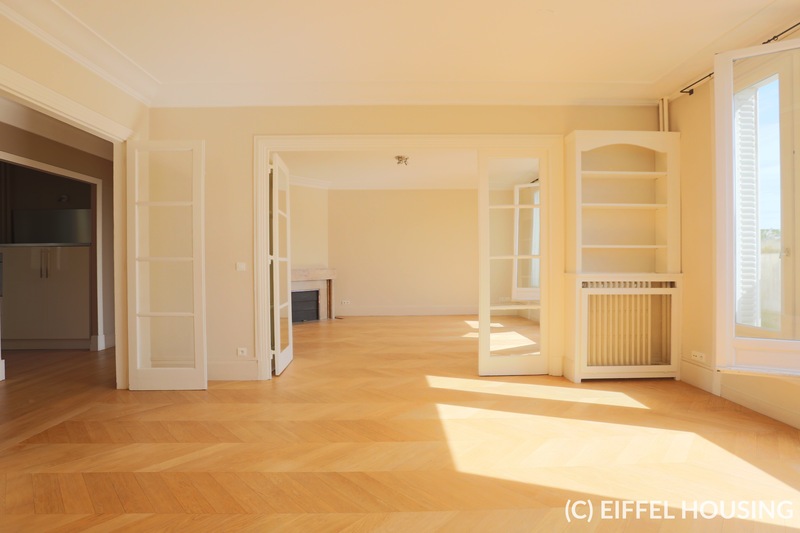 Full of light, and very quiet. 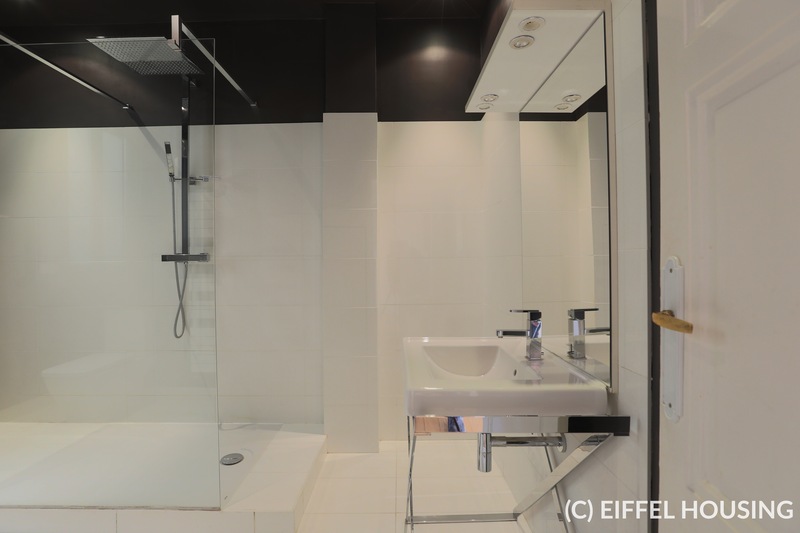 Hot water and heating are collective (included in building charges).